STEP Bible (Scripture Tools for Every Person): "Trustworthy Bible study software designed specifically for the disadvantaged world." It is, however, available for anyone to use and has a nice interface with a collection of English (e.g., ESV, JPS, KJV, LEB, NASB, NET, NIV), Hebrew, Greek, Latin, Coptic, Syriac, and more texts. Depending on the version, notes, vocabulary and interlinear options are possible. What do you think of the STEP Bible, from Tyndale House in the UK? Thanks, WPete! I forgot about that one, since I don't use it much. STEP has some nice features with the sympathetic highlighting. There are a bunch of English Bibles, notably NIV and ESV. There is a variety of Greek texts, but only the Textus Receptus/Byzantine ones are tagged. I also noticed that PocketBible is missing from your list. What is your opinion of this resource? Great review! 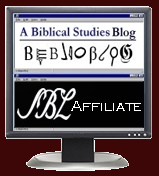 I’ve been using BibleHub to knock the rust off of Greek and Hebrew from college and seminary 25+ yrs ago. Since becoming Disabled I’ve used the exegetical process as therapy. My question is, as great as BibleHub is, I wish I had more original language tools for word & concept studies and cultural understanding. Lastly, when I think I’ve done all I can to understand the text, I’ll read commentaries (e.g. D. A. Carson) but would like to read other evangelical scholars. But on a small, fixed income I cannot afford the level on Logos.com with the tools that match this. I would assume Olive Tree to be similar but haven’t looked into as much. Do you have any recommendations for more original language exegetical tools? Get online tutoring,tution,tutors from expert tutors for O level, A level, AS level CIE,EDXCEL,AQA,OCR boards.